Tuesday morning I managed to find some lorikeets. to tend their young in this tree house! 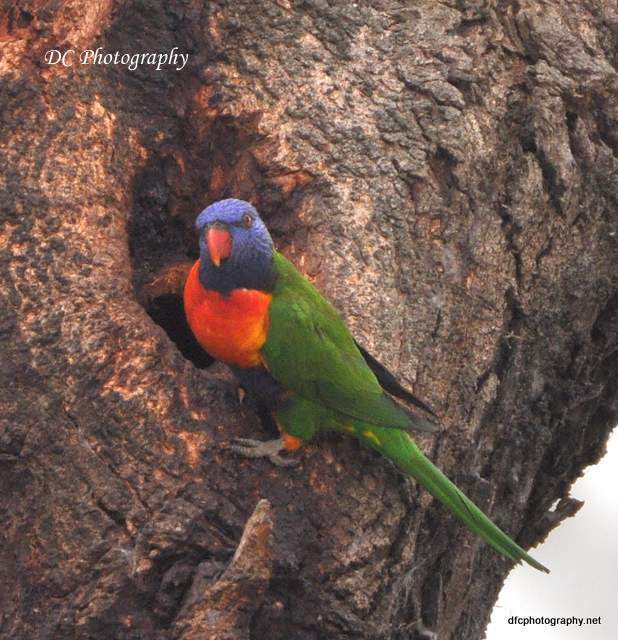 This entry was posted in Australia, Geelong, Nature, Photography, Postaday, PostaWeek, Victoria, Wildlife, Wordless Wednesday and tagged lorikeet, photography, Wordless Wednesday. Bookmark the permalink. Very interesting birds, Woolly . 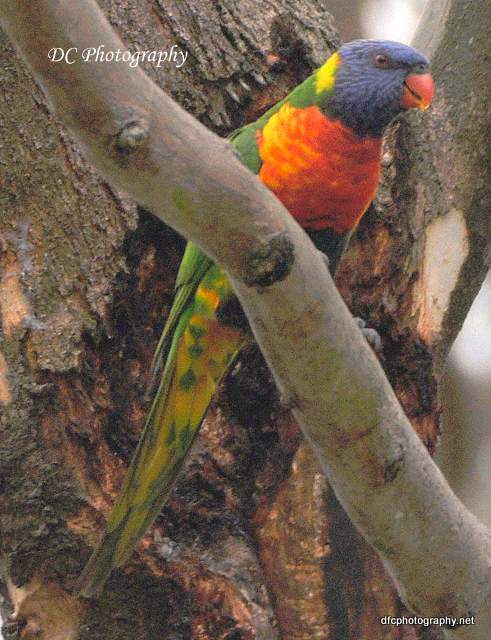 “Lorikeets are sooooo pretty.” Nice to see them in the wild instead of a cage in a pet shop. Could not agree more. Also captured some shots of eagles yesterday. My first sighting of the Wedge Tail in flight. Great shots. Our birds are very busy and vocal here as well. We have just had a ten year anniversary since moving here and never seen so many birds around our yard. May have something to do with tree maturing…..